Another view on Uzes. 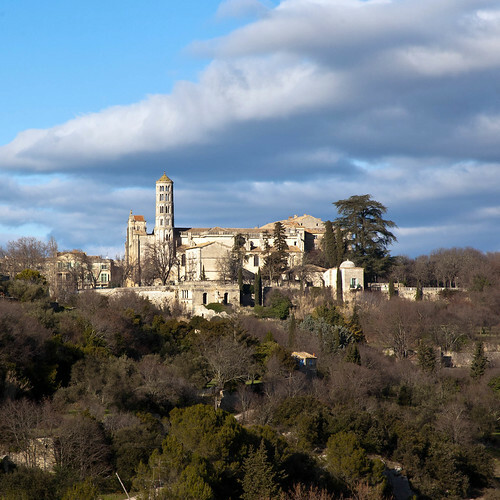 The Uzès Cathedral was destroyed in the Albigensian Crusade, rebuilt, and destroyed again in the 16th century Wars of Religion. Rebuilt again (*sigh*) in the 17th century, it was stripped out during the French Revolution. The 11th century Romanesque Tour Fenestrelle (“Window Tower”) above, with its paired windows, is one of the most famous icon of the city. Blogged.